(MENAFN - ForPressRelease) Bangalore, February 8, 2019: Peter England, Indias leading menswear brand from Aditya Birla Fashion and Retail Ltd. launched itss first Mens Obsession Store at Commercial Street Bangalore. 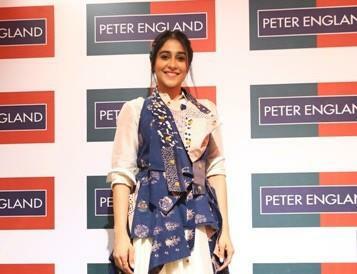 Actress and fashionista Regina Cassandra graced the occasion by lending glamour and panache to the grand inaugural event. The 2000 plus unique designs from the brand presents an irresistible offering at an unmatched value to the fashion-focused men in the city. Customers can choose from over 26 categories ranging from Suits and Blazers, Chinos, Denims, T-shirts, Formal Shirts, Footwear and accessories thus creating an exciting shopping experience. The vast collection of latest fashion trend for every occasion will allow Peter England to reach an expanded cohort of customers.